Moving south from the Cote Chalonnaise into Burgundy's largest vineyard area, the Maconnais, the climate changes with the Mediterranean influence. This can create riper grapes resulting in fruitier flavors and aromas. 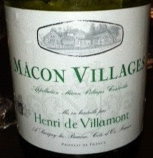 About 80% of the region's production is regional level Macon AOC wine with most of the white being labeled Macon-Villages. Appearance: Clear, pale lemon color with a watery rim. Pouilly Fuisse is the principal commune of the Maconnais. 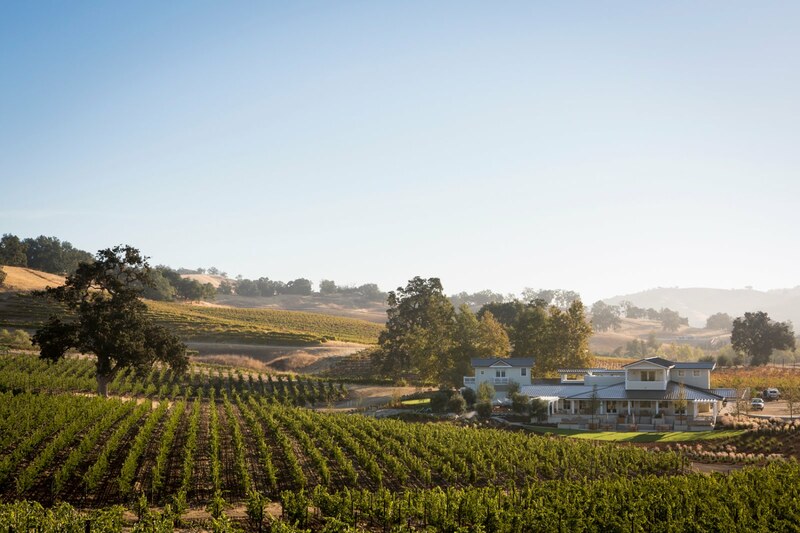 The vineyard locations on the bowl shaped slopes maximize sun exposure, this, combined with the limestone based soils produce a style of Chardonnay that should typically be fuller bodied with good fruit and minerality. 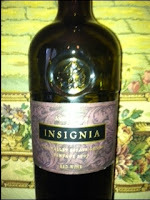 Nose: Clean, medium intense youthful aromas of lemon and peach with some butter. 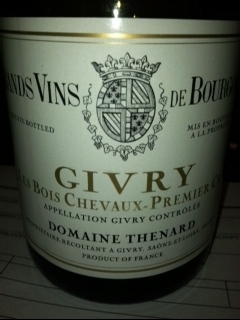 Palate: Medium body and acidity with lower intensity flavors mirroring the nose. Medium- finish. Continuing south into Burgundy's Saone-et-Loire region is the Cote Chalonnaise often said to be Burgundy's best place to find value for your money. As I begin thinking about this, I am immediately sorry that I did not get a Bouzeron Aligote to try because I don't think I have ever tasted one and that would have been fun. It has been added to the list and I will come back to it. Over 60% of the region's production is red wine typically produced in a fuller-bodied, firm style. Givry, one of the principal communes, is home to 26 Premier Cru vineyards. 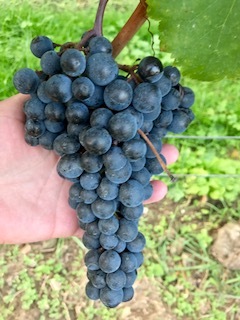 The red wines of this particular area are known for their intense fruit and smooth tannins but are sometimes questioned as to the length of their age ability. Nose: Clean, medium intensity developing aromas of leather, sage and earth over red fruit. Palate: Dry, medium body/alcohol and medium+ tannins, acidity and length. Cherry/berry and black tea flavors. Drink now, serve with mushroom risotto. Continuing down through Burgundy's Cote d'Or into the southern portion, the Cote de Beaune. 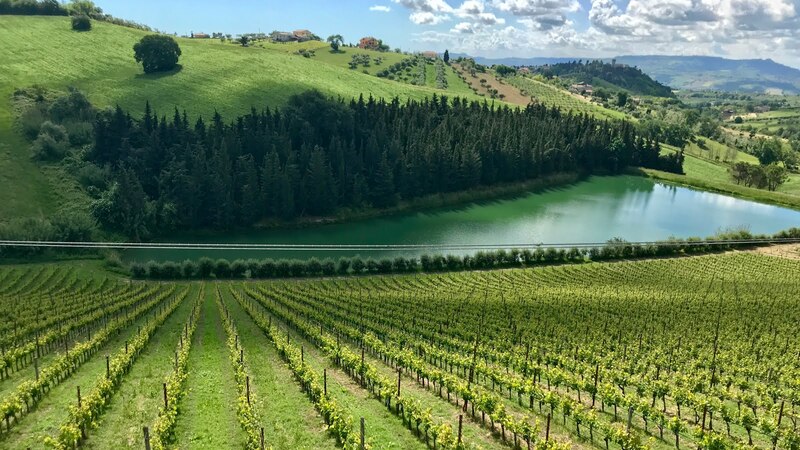 This area shares many similarities with its northern neighbor as far as climate, altitude and aspect but it has more soil variation promoting the production of red (57%) and more white (43%) wines. The red wines tend to be lighter than those produced in the Cote De Nuits while the white wines deliver concentrated flavor and are considered to be among the best in the world. There are 7 Grand Cru vineyards in the Cote de Beaune and only one produces Grand Cru red but there are numerous Premier Cru vineyards producing both. Although there are 17 principal communes in the Cote de Beaune, I am only focusing on 3 in this posting. The commune of Volnay is home to 30 Premier Crus producing only red wines. 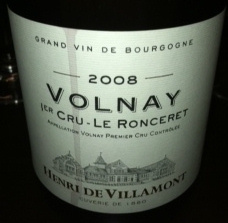 Volnay reds are typically soft and aromatic. Nose: Clean, medium intense developed aromas of leather, violets and smokey meat. Palate: Dry, firmly structured with medium body/alcohol and medium+ acidity and tannins with a medium+ length finish. Quality: Good+ Serve with roasted duck or goose. Drink now with some aging potential. Appearance: Clear, pale garnet with a watery rim. 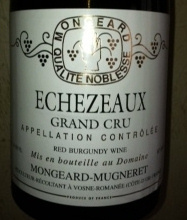 Nose: Clean, medium intense developed aromas of leather, red fruit and earth. Palate: Dry, medium body, alcohol and tannins with medium+ acidity and a medium+ length finish. Quality: Very good. Serve with bacon-wrapped filet. Drink now, has some aging potential. The commune of Meursault is considered to produce some of Burgundy's best white wines. It is home to 18 Premier Crus. 90% of its production is of white wine typically produced in a rich, creamy style. Nose: Clean, medium- intense aromas of oak with a hint of lemon. 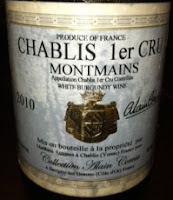 Palate: Dry, medium body, alcohol and acidity with muted flavors of lemon butter and almond with a short finish. Quality: Past its prime. Not recommended. Continuing on down to Chassagne-Montrachet, home to 4 Grand Crus and 17 Premier Cru vineyards. 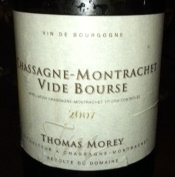 The white wines of Chassagne are also considered to be among Burgundy's best. Appearance: Clear, pale lemon with a watery rim. 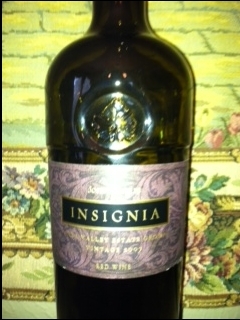 Nose: Clean, medium intense youthful aromas of lemons and lilacs. 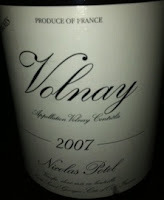 Palate: Dry, medium body, alcohol and acidity with flavors of apple and citrus. Medium length. Appearance: Clear, medium lemon with a watery rim. Nose: Clean, medium intense youthful aromas of lemon, apple and butter. Palate: Dry, medium+ body, alcohol, acidity and length with flavors of lemon butter and a slight nuttiness. Both of these can be enjoyed now but may also have some aging potential. The wines at the bottom of the AOC hierarchy of Burgundy (with just a few exceptions) have the word Bourgogne in their name. There are 25 of these AOCs and they represent over 50% of Burgundy's production. Grapes may be sourced from anywhere within the region or may be labeled with a specific region that the grapes are sourced from (ex. Macon-one of the few name exceptions). 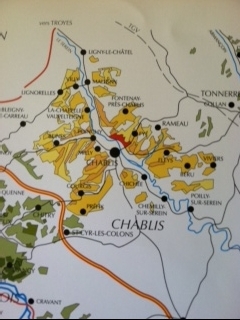 Most of these wines can be produced anywhere within the Burgundy region. 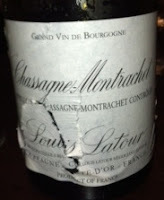 I tasted this wine twice within a relatively short time period so I am posting both notes because I thought it was interesting to see what was the same and what had changed. The bottles were purchased from different stores. Appearance: Clear, medium lemon color w/ a watery rim. Nose: Clean, medium+ intensity developed aromas of green apple, asparagus and canned mushrooms. Palate: Dry, Medium+ body and acidity (MLF), medium alcohol with flavors of green apple, lemon and canned mushroom. Interesting. Quality: Very good. Drink now, meant to be consumed young. Appearance: Clear, pale lemon color w/ a watery rim. Nose: Clean, medium intensity aromas of GREEN/vegetal-brussel sprouts, asparagus, bell pepper mixed with a very small bit of lemon. 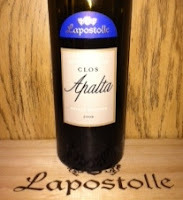 Palate: Dry, Medium- body, acidity and alcohol with light vegetal and lemon flavors. This labeling indicates a minimum of 85% Pinot Noir and no more than 15% Gamay by law (while Bougogne Rouge would indicate up to 30% Gamay in the blend). Appearance: Clear, pale ruby color. Nose: Clean, medium intensity aromas of fresh red fruit-strawberries and cherries. Palate: Dry, Medium- body, medium tannins, medium acidity and alcohol with a diluted cherry flavor. 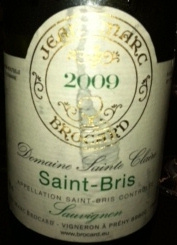 Saint-Bris is a lesser known communal AOC in the Grand Auxerrois region of Burgundy located southwest from Chablis. What makes it of particular interest is that it makes its white wines from Sauvignon Blanc rather than from the Chardonnay grape for which Burgundy is famous. Nose: Clean, medium- intensity level of youthful aromas of primarily grapefruit with a bit of grass. Palate: Dry, medium body/alcohol and medium+ acidity with tart grapefruit flavors. I was expecting a more aromatic wine with more herbaceousness based on what I have read about this region's typicity. Further research may be in order. My husband and I shared this bottle of 2008 Lapostolle Clos Apalta at home the other evening over a grilled steak dinner; if this bottle is indicative of the typical quality, it is easy to see why it is consistently so highly rated. In the glass, the wine was a deep, almost black, ruby color with fresh aromas and flavors of ripe mixed red and black fruit with sage-herbal undertones and spicy notes. Perfectly balanced, well-structured with a silky mouthfeel and long finish, an exceptional wine. Highly recommended! We purchased a few bottles of this and I am looking forward to seeing how it evolves. The blend for this bottling is 73% Carmenere, 17% Cab Sauv and 10% Merlot. 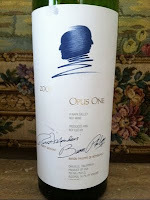 It was purchased at The Tasting Room-Uptown for approximately $100. 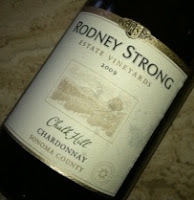 I opened this bottle of Rodney Strong Chalk Hill Chardonnay 2009 to serve with the grilled shrimp and creamy pasta that we were having for dinner. 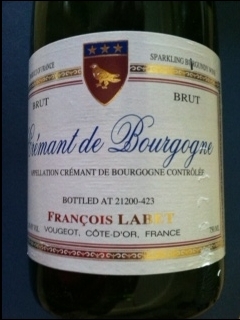 In the glass, it was a medium lemon yellow color with aromas of grapefruit, under ripe pineapple and light oak. Nicely balanced with medium to medium+ body, acidity, alcohol and flavor intensity. Flavors mirrored the aromas in the medium length finish. Recommended, another nice wine at a nice price! Purchased at HEB for about $12. I was not very familiar with Peju Province Winery until the Taste Napa Valley Wine Tasting last year where I had the opportunity to talk with owner, Herta Behensky Peju. 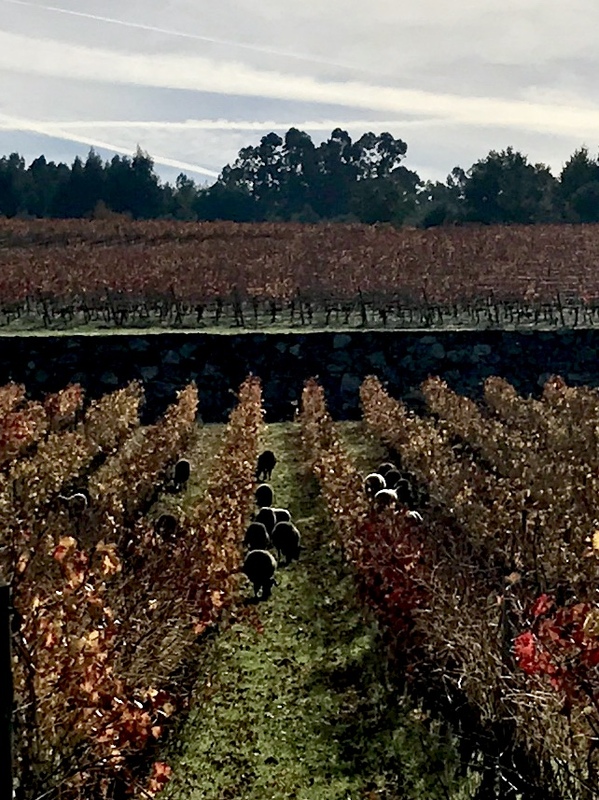 In between tasting her five fantastic offerings, we talked about family, gardening, organics and going green-all of which is an important part of how this winery is run. 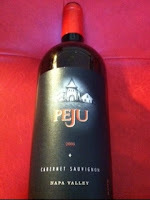 Since the majority of their wines are sold directly through their Rutherford tasting room, I was surprised to find the 2005 Peju Cabernet Sauvignon at my local HEB grocery store which I purchased for about $45. It was a deep garnet color in the glass with pronounced aromas of dark berries, cocoa powder and a touch of cigar. Rich flavors of mixed ripe berries, chocolate and baking spices were balanced by soft ripe tannins, medium+ acidity and a comfortable 14.1% abv. The finish was deliciously long. Highly recommended! 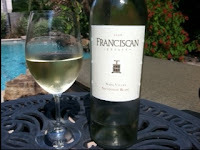 The 2008 Franciscan Estate Sauvignon Blanc Napa Valley was purchased at my local HEB grocery store for about $14 to serve with my also HEB purchased tortilla crusted tilapia that I was pan sauteing and topping with a mango salsa. In the glass, the wine was a very pale straw color with -medium intense aromas of lime, grapefruit and hay. On the palate, dry, medium body, medium to medium+ acidity with crisp, mainly lime/mixed citrus flavors with a bit of minerality and a medium length finish. A good wine at a good price. More Mer-love! This time for the 2004 Rutherford Hill Reserve Merlot from Napa Valley. My husband and I shared this bottle after dinner the other evening while catching up on some TV shows on the DVR. Appearance: Clear, deep ruby color. Nose: Fresh red fruit aromas-plums and berries with just a hint of vanilla and cedar. Palate: Dry; balanced, medium+ body, acidity and smooth tannins with rich flavors of mixed red & black berries and milk chocolate. *This bottle was purchased by my husband at The Tasting Room-Uptown Houston. He does not remember the price. I purchased the 2009 Martin Ray Chardonnay Russian River Valley at my local HEB grocery store for about $12. I have served it a few times this summer with grilled and pan-sauteed seafood with and without cream sauce and have found it to be another nice wine at a nice price. Appearance: Clear, pale lemon color. Palate: Dry, medium body, medium acidity with lemon, peach and a bit of pineapple. ﻿ The Perrier-Jouet Grand Brut NV was part of an impromptu sushi night with some friends during my husband's week long birthday celebration. 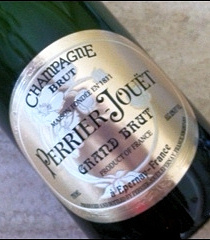 In the glass, this Champagne was a pale gold with a steady stream of pinpoint bubbles. Floral aromas of jasmine and lime blossom were dominant with fresh-baked pastry and citrus notes. On the palate, it was dry with racy acidity balancing the mixed citrus flavors and long toasty finish. Elegantly luscious at $45 a bottle. 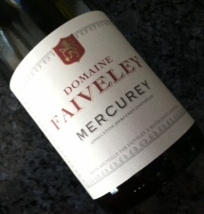 I was grilling sockeye salmon on a cedar plank for dinner so I decided to open the 2007 Domaine Faiveley Mercurey to serve with it. 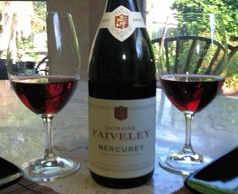 This red wine is a Pinot Noir from the Mercurey commune in the Cote Chalonnaise subregion of Burgundy, France. In the glass, it was a sheer garnet color with medium intense fruity aromas of red cherry, strawberry and raspberry with just a hint of an earthy underbrush. It had a medium body with medium smooth tannins and medium+ acidity balancing the primarily juicy red cherry/berry flavors and just a bit of an undefined herbal note ending with a medium+ length finish. Quite delicious alone and with the salmon. A very nice wine for approximately $30 at Whole Foods. 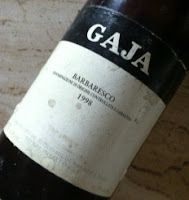 While I generally think of Nebbiolo wines as something to drink in the winter, I decided to break my "rule" the other night and opened a bottle of 1998 Gaja Barbaresco on a hot, Houston summer evening. My husband's birthday is at the end of the month and we tend to celebrate for a good portion of July. He wanted a dry-aged rib-eye steak that we had seen at Whole Foods for dinner. This is why I try to keep him out of the grocery store, as this is not what I would typically pick on a hot Thursday night, but it is not my month we are celebrating. The label looked a little aged and the cork broke in half when I was opening it, I was hoping that I had not held this one too long. I decided to decant it although that proved unnecessary as most of the sediment was all stuck to the side of the bottle that it had laid on. In the glass, it was an opaque brick red with an orange rim. It had a medium+ intense bouquet of violets, leather, ripe red cherries and fennel. 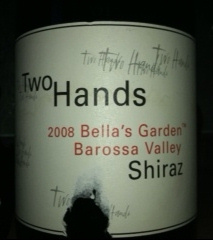 It was well-structured with a full body, high acidity, a comfortable 14% abv and thoroughly integrated smooth tannins. Complex flavors evolved through dinner- cherry and raspberry, smoke, tar, earthy truffles and a long, lightly spicy licorice finish. Absolutely fantastic- an outstanding, perfectly aged wine! I almost didn't bother to write this one up. 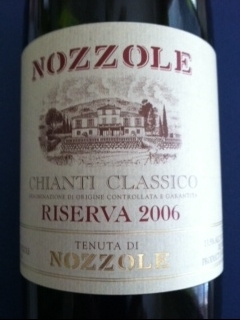 I opened the 2006 Nozzole Chianti Classico Riserva to have on Friday evening. I had three hungry teenagers at the table for dinner that night so I made a fried cheese and zucchini appetizer and sandwiches from Wednesday's leftover meatballs. The wine was very closed- Low aromatics combined with less than expected acidity and a light, indiscernible red fruit flavor. My husband and I each had less than one glass. I re-corked it and left it on the kitchen counter. While preparing dinner the following night, I poured myself a glass. It was more aromatic and had a stronger cherry/berry flavor but it was still not very interesting. Overall, calling it acceptable is about as excited as I can get. Approximately $22 at Spec's. Simple family dinner at home on Wednesday night- spaghetti with meatballs, salad and bread. 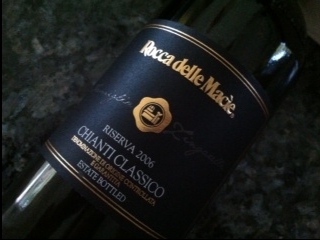 My dad brought a bottle of Rocca delle Macie Chianti Classico Riserva 2006 to have with it. In the glass, the wine was a medium ruby with a garnet rim. Medium intensity aromas of ripe black cherry with cedar and a bit of tobacco. Medium body, medium+ acidity and tannin balancing concentrated cherry/berry and licorice flavors. Smooth medium length finish. Very easy-drinking and enjoyable for about $20, recommended! ﻿I made veggie tacos with black beans, grilled onions, bell peppers and squash with guacamole and pico de gallo on corn tortillas. 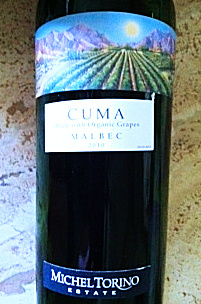 I decided to open a bottle of 2010 CUMA Malbec by Michel Torino. This wine is made from organic grapes sourced from the Cafayate Valley in Argentina. An organic wine with my vegetarian meal seemed appropriate. I had purchased this bottle at my HEB grocery store for approximately $12. In the glass, the wine was a deep purple with a ruby rim. Jammy aromas of black and blueberries prevailed with an herbal note of tarragon. It was medium everything-body, acidity, alcohol and tannins (which were very smooth and sweet). The flavors mirrored the aromas with the addition of chocolate-covered cherry in the medium+ length finish. 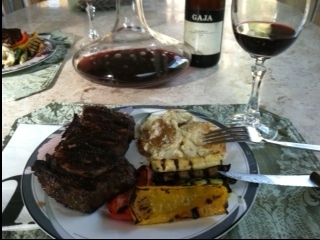 It was a very fresh (lighter than I expected) Malbec which is perfect for the hot summer and light grilled meals. A very good wine at a very nice price. Grilled hamburgers topped with blue cheese on the dinner menu at home the other evening seemed the perfect match for one of my HEB grocery store wine buys. 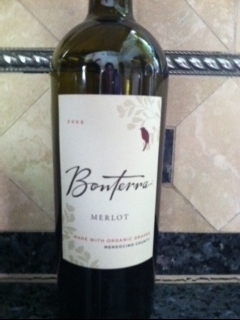 I opened the 2008 Bonterra Merlot from Mendocino County. This Merlot-based wine which has some Syrah, Zinfandel and Carignane in the blend is made from organic grapes and was purchased for $11.75. It was a dark ruby in the glass with medium intense aromas of mixed ripe black fruit with light oak. 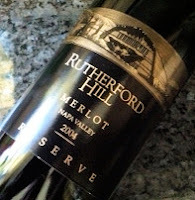 It was well-balanced with medium acidity, alcohol and tannins with flavors of plum, cranberry and a bit of vanilla. It had a smooth, medium length finish. We really enjoyed it- the best value priced Merlot that I have had in awhile! We were in Galveston over the Fourth of July weekend. On Saturday night, we went to Gaido's for dinner. The best pairing of the evening was the Watkin's Bisque with the 2007 Domaine Carneros Pinot Noir. I did not take tasting notes. The bottle was $55 in the restaurant but only about $22 retail. It is one I plan to keep at my home. 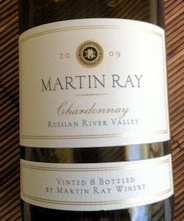 I think it will be fantastic with grilled sockeye salmon this summer. * I did end up purchasing this to serve with grilled sockeye salmon. The price was $30 locally at Spec's instead of the $22 (which makes me feel better about the price at Guido's). Only the 2008 was available. In the glass, it was a pale ruby with aromas of fresh red berries and cherries and floral notes of violet. The medium acidity, smooth tannins and 14.2% abv balanced out the flavors of raspberry, red cherry and a nice dose of black tea. A very good young, fresh and fruity Pinot Noir. 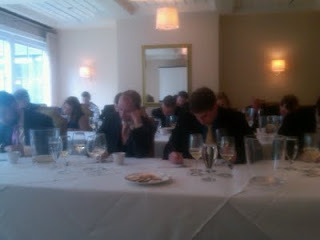 Yesterday, I attended a Chablis Training Seminar and Tasting held for wine trade professionals and media. James King, of The Texas Wine School, ran the training sessions for the Burgundy Wine Board in Los Angeles, San Francisco, Seattle and Houston. Almost clear, watery color. Light body. Crisp acidity. Apple, lemon, bit of salty minerality in finish. 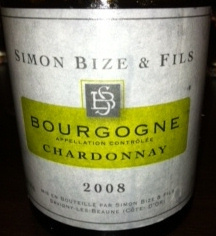 Excellent with any savory puff pastries, light seafood or alone, as an aperitif. Almost clear, watery color. Somewhat closed, less aromatic. Light body. Crisp acidity. Grapefruit. Light lemon color with green glints. Ripe pear and buttery aromas and flavors with floral notes and a bit of peach. Medium body. Crisp, yet with a softer mouthfeel. Medium+ length finish. Good with any seafood particularly with a buttery sauce. Pale straw color. Peach and honey for both aromas and flavors. More aroma/less flavor. Light body. Bit of heat in the finish. Pale gold color with green glints. Low intensity aromas of peach, lime blossom and oak. Full body. Medium acidity. Strong minerality with ripe pear and a bit of vanilla. Long finish. Very promising, needs more age. Good with lobster or shrimp dishes with heavy cream sauce. Lemon color with pale gold glints. Medium intensity aromas of mushroom, honey and a bit of lightly bruised apple. Full body. Medium acidity. Interesting, needs more age. May be the perfect complement for foie gras or poultry in a creamy mushroom sauce. Last night, we went to Corelli's, an Italian restaurant near our home for dinner for the 2 eat for $19.99 Tuesday special. During the summer, they don't charge a corkage fee, so in keeping with our cost conscious theme, we also brought along one of my inexpensive grocery store purchased white wines, the 2008 Taz Pinot Gris from Santa Barbara priced at approximately $14. In the glass, the wine was a pale lemon color with medium intense aromas of ripe peach, honeysuckle and a bit of pineapple. It was medium body with medium+ acidity and had light fruit flavors of lime and pear. The wine was more in the style of an Alsatian Pinot Gris than an Italian Pinot Grigio. The dinner special consists of one split appetizer (we chose the shrimp scampi), 2 salads (my husband had the house while I chose the Caesar) and 2 entrees from a set list (He had the Chicken Parmesan and I had the Cheese Ravioli in cream sauce with pesto and caramelized mushrooms and onions). The wine was food friendly and complemented both our meals. A good wine at a good price! 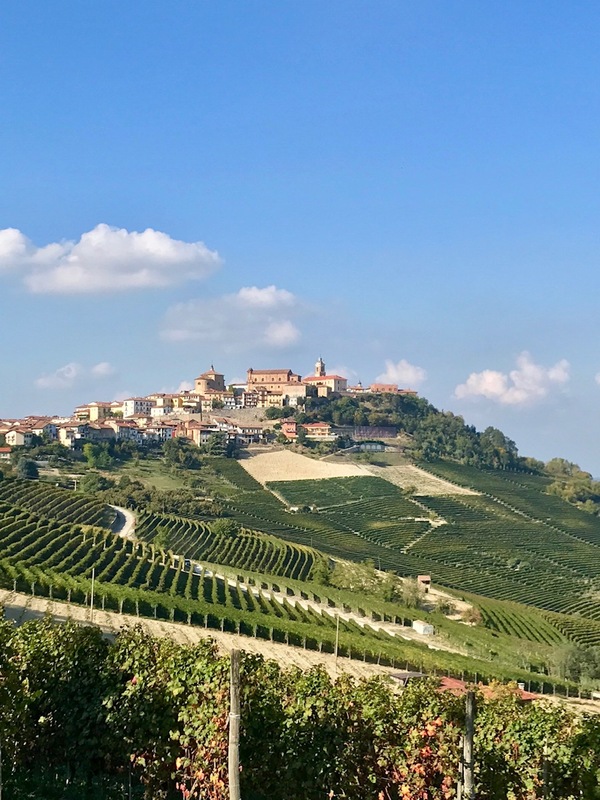 After a couple of days of drinking whites, I decided to serve a bottle of 1999 Il Poggione Brunello di Montalcino Riserva that we have been holding. 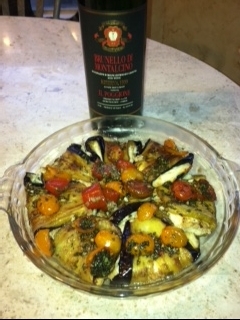 I had made Rolled Stuffed Eggplant for dinner and wanted some good Italian red wine to go with it. In the glass, the wine was a brownish red color with medium intense aromas of dark cherries and berries, cocoa and floral notes. It had a medium+ body, high acidity and very smooth medium+ tannins with flavors of the ripe dark cherries and berries, black tea, vanilla and a bit of spiciness in the long finish. Absolutely delicious! I am not sure what this cost as I bought it under special circumstances a few years ago. It is an outstanding example of Brunello di Montalcino if you can still find it. You may want to decant first, it was throwing sediment. It isn't even officially summer yet but it is already hot in Houston. 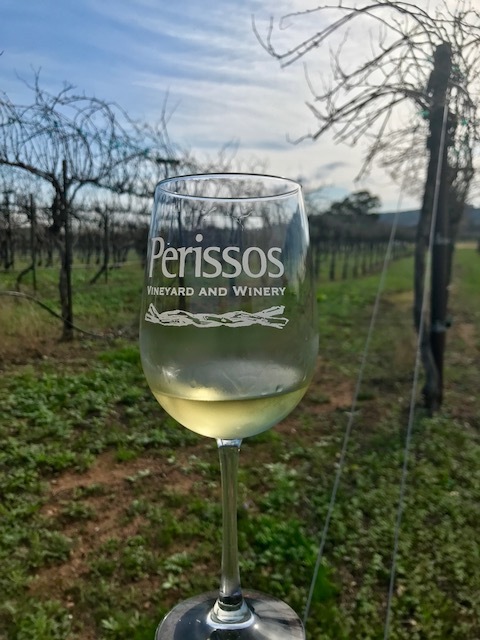 This makes it a good time to try some affordable easy to find white wines to sip on the patio while waiting for the seafood to come off the grill. I made a quick trip to my local HEB where I purchased 6 assorted bottles with a 10% off discount. 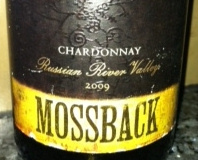 The first from my line-up was the 2009 Mossback Russian River Valley Chardonnay priced at approximately $17. 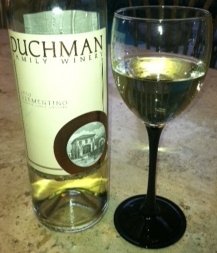 In the glass, the wine was a bright lemon yellow with medium intense aromas of pear, citrus and a hint of jasmine. 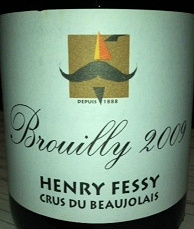 On the palate, it had a full body with fruit flavors that mirrored the aromas and balanced the high acidity. It had a medium length, lemon butter finish. 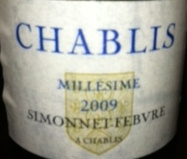 A classic Chardonnay in the French Chablis style. I served it with grilled salmon on pesto pasta with diced heirloom tomatoes and Caesar salad and it worked quite well. I think it would also be good with any lemon-butter seafood or chicken dish. A good value for a very good wine! I applied to participate in the 2nd annual Ruinart Champagne Challenge. The Guild of Sommeliers and Ruinart Champagne were hosting the event in five US cities. They were choosing 100 wine professionals nationwide with 20 contestants at each competition. The locations were in New York, Las Vegas, Chicago, San Francisco, and Houston. Each city's winner would win a trip to Champagne, France and a $1000 scholarship with the Guild of Sommeliers and the runners-up would each receive a magnum of Ruinart Blancs de Blancs. My application was accepted and I was invited to compete in the Houston challenge held at Brennan's-Houston restaurant. Participants arrived at 11:00 AM to compete in a blind tasting of sparkling wines. After 40 minutes, contestants turned in their tasting notes and were engaged in a short lecture from Frederic Panaiotis, Ruinart Cellars' Master, on the "Physics behind the Fizz" with a question and answer period. We then adjourned to another room where we were treated to Ruinart's new aroma kit featuring some of the main aromas found in Champagne. A buffet lunch followed. The competitors had various backgrounds in the wine industry- restaurant sommeliers, wine educators, winery employees, distributor and wine shop sales people. The competion was intense and the winners were standouts. Last night, we went to Truluck's on Westheimer for dinner and we had a great experience. We had a reservation and we were seated immediately at that time upon our arrival. They have over one hundred wine options by the taste, glass or bottle with a good price range. We decided to start with the Roederer Estate Brut. It is Florida Stone Crab season so we added more of that to the cold seafood tower to begin our meal. The tower consists of Connecticut Blue Point oysters, jumbo boiled shrimp, the stone crab claws and Alaskan King crab cocktail. Everything was very fresh tasting and so good with the sparkling wine that we ended up adding a shrimp cocktail to get more of the jumbo shrimp. Next, we each ordered the Crab & Corn Chowder which was definitely the best that I have ever had. We followed that with steamed Alaskan King Crab legs with drawn butter. We had planned on adding the blue crab mac & cheese but decided that we were just getting too full at that point. Raul Rodriguez was our server and he provided us with excellent service throughout our evening. There was live music in the bar that could be enjoyed throughout the restaurant without it being overpowering for table conversation so we finished our evening with a final glass of Mumms Sparkling Rose at the table while we plotted how we would go about our next meal there. I hope to see the mac, some grilled fish and one of their fantastic looking desserts is in our near future! Highly recommended for the quality of food, drink menu variety, ambiance and exceptional service! 2007 Domaine Rabasse Charavin Cote du Rhone Blanc "Laure"
2007 Domaine de Font Sane Gigondas "Tradition"
2006 Rabasse Charavin Cotes du Rhone Villages "Les Cailloux"
2002 Delas St Joseph "Tournon"
2000 Delas Hermitage "Marquis de la Tourette"